This definitely won't be the first or the last time I bang on about how much I love Models Own Utopia. It's my all time favourite nail polish, although I cant quite put my finger on why I love this pale just off white lilac so much. Utopia is great for layering with glitters as it's really pale and compliments lots of different ones. My personal favourite blend is when it's layered under OPI Rainbow Connection. When worn alone it looks sleek, sophisticated and chic. Due to it's neutral tone it goes with every outfit and is an all round flattering shade. 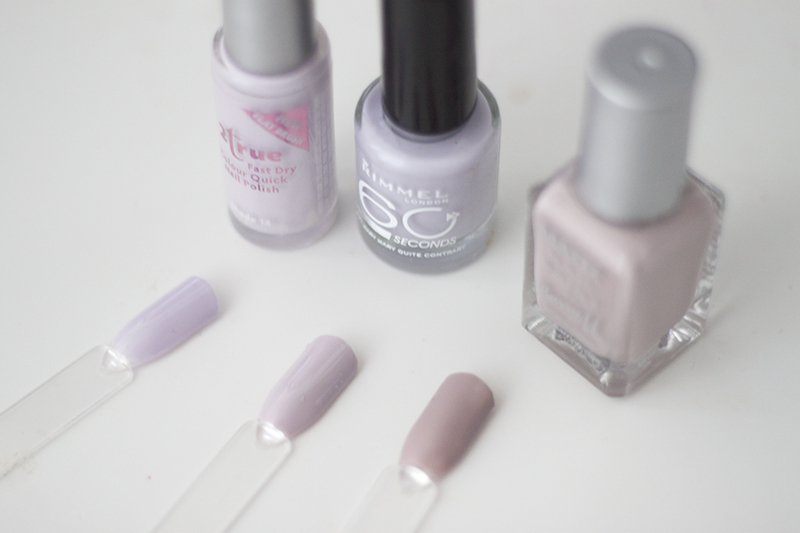 I'm going to be talking about few shades of nail polishes in that purple/lilac/white spectrum. While Models Own isn't very expensive or hard to get hold of, I know what us beauty junkies are like and are constantly on the hunt for dupes and alternatives to buzzed about products. 2 True Nail Polish in Shade 14 is very similar in tone, but a little bit more purple than off white compared with Models Own Utopia. It's a little more peppy and brighter but still in the same shade range. The formula is fine, not the best or the worst polish I've ever had the pleasure of using. Considering it's small £1.99 price tag I shouldn't really complain! 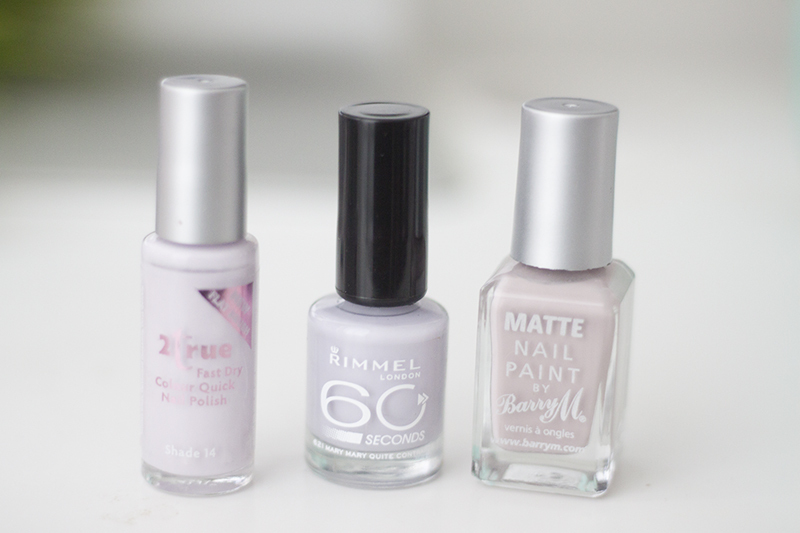 I've also pulled Rimmel 60 Second Nail polish in Mary Mary Quite Contrary, which I found to be the closest dupe from this edit. It's a little more purple toned than MO Utopia. 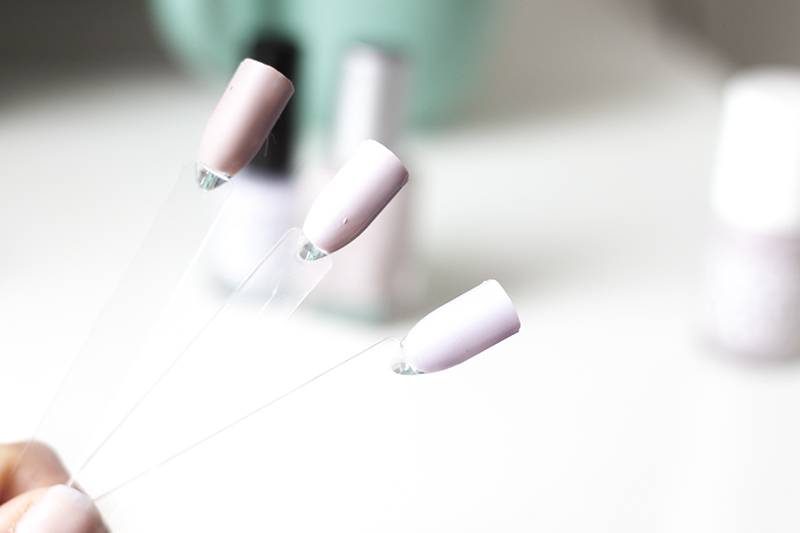 I love formula, brush and drying time the 60 second nail polishes, and they are great for quick mani's on the go. Then I picked out Barry M Matte Nail Polish in Vanilla is a little murkier, browner and less white, more of a subtle grey lilac. As a little twist (as the name suggests) is has a matte formula. I think this gives the polish a real edge that makes the shade stand out from the crowd. I'd refer to this nail polish as a wintery version of Models Own Utopia. While none of these Utopia Dupes are quite as perfect as the original, they are similar and have their own pro's and con's. All are beautiful in their own rights. I've repurchased Utopia so many times, but I'm always drawn to polishes that look similar to it. Call my crazy, but I just cant get enough of it! 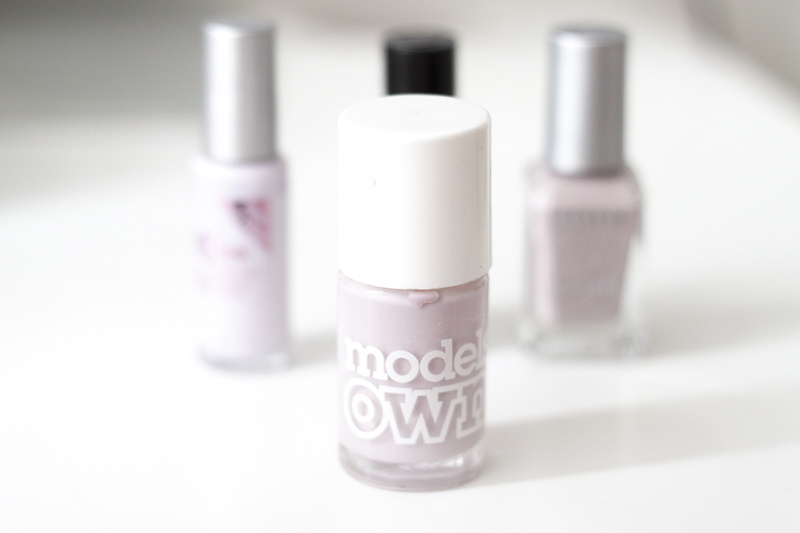 Have you tried Models Own Utopia?